A great slide show of photographs taken by a recent guest of KRAKOW TOURS, at Auschwitz and Birkenau. Thank you for allowing me to post on my blog. KRAKOW TOURS – The process leading to sainthood for late Polish pope John Paul II has recently been accelerated, Polish President Bronislaw Komorowski said on Saturday after talks with Pope Benedict XVI. “We expressed our hope for a continuation of the process and the latest signals show that this process has been recently speeded up,” Komorowski told reporters after the talks on the 32nd anniversary of John Paul II’s election. Komorowski also attended a mass in honour of John Paul II in the Vatican. A spokesman for the Vatican declined to comment on the report. There had been speculation in Poland earlier this year that Saturday’s anniversary could see the beatification of John Paul II — the first step toward formal recognition as a saint of the Roman Catholic Church. The procedure leading up to sainthood usually takes many years. Benedict also congratulated Komorowski ahead of the canonisation of Stanislaw Soltys, a 15th-century Polish priest who is to be recognised as saint at a ceremony on Sunday with five others including Australia’s first saint. “Tomorrow Poland will have a new saint,” Benedict told the president. Komorowski is set to attend the ceremony on Sunday on the square in front of Saint Peter’s basilica where around 50,000 faithful are expected. The two leaders also discussed collaboration between church and state “for the common good,” as well as European affairs, the Vatican said. KRAKOW TOURS – Karen Fuller and friends from Toronto, Canada were Krakow Tours 250th customers. A bottle of bubbly to celebrate after their Auschwitz and Salt mine tour – 15th Oct 2010. 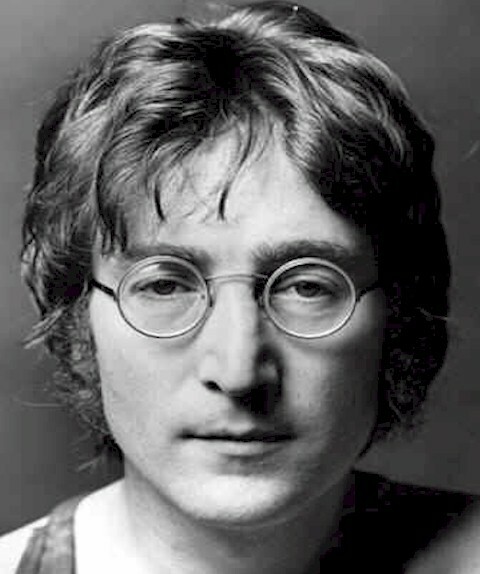 KRAKOW TOURS – On the day that the world is remembering and reminiscing about John Lennon (today would have been his 70th birthday), another internationally famous figure should be remembered also. 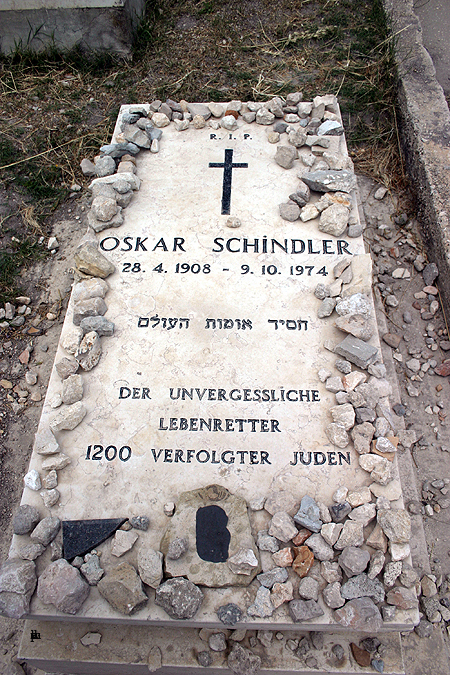 On this day (9th October) in 1974 Oskar Schindler died. Oskar Schindler rose to the highest level of humanity, walked through the bloody mud of the Holocaust without soiling his soul, his compassion, his respect for human life – and gave his Jews a second chance at life. He miraculously managed to do it and pulled it off by using the very same talents that made him a war profiteer – his flair for presentation, bribery, and grand gestures. In those years, millions of Jews died in the Nazi death camps like Auschwitz, but Schindler’s Jews miraculously survived. To more than 1200 Jews Oscar Schindler was all that stood between them and death at the hands of the Nazis. A man full of flaws like the rest of us – the unlikeliest of all role models who started by earning millions as a war profiteer and ended by spending his last pfennig and risking his life to save his Jews. An ordinary man who even in the worst of circumstances did extraordinary things, matched by no one. He remained true to his Jews, the workers he referred to as my children. In the shadow of Auschwitz he kept the SS out and everyone alive. Oskar Schindler and his wife Emilie Schindler were inspiring evidence of courage and human decency during the Holocaust. Emilie was not only a strong woman working alongside her husband but a heroine in her own right. She worked indefatigably to save the Schindler-Jews – a story to bear witness to goodness, love and compassion. Today there are more than 7,000 descendants of the Schindler-Jews living in US and Europe, many in Israel. Before the Second World War, the Jewish population of Poland was 3.5 million. Today there are between 3,000 and 4,000 left. Oskar Schindler spent millions to protect and save his Jews, everything he possessed. He died penniless. But he earned the everlasting gratitude of the Schindler-Jews. Today his name is known as a household word for courage in a world of brutality – a hero who saved hundreds of Jews from Hitler’s gas chambers. Schindler died in Hildesheim in Germany October 9, 1974. He wanted to be buried in Jerusalem. As he said: My children are here ..
KRAKOW TOURS – You can get the great ‘Krakow Inyour Pocket’ guide book HERE on EBAY.